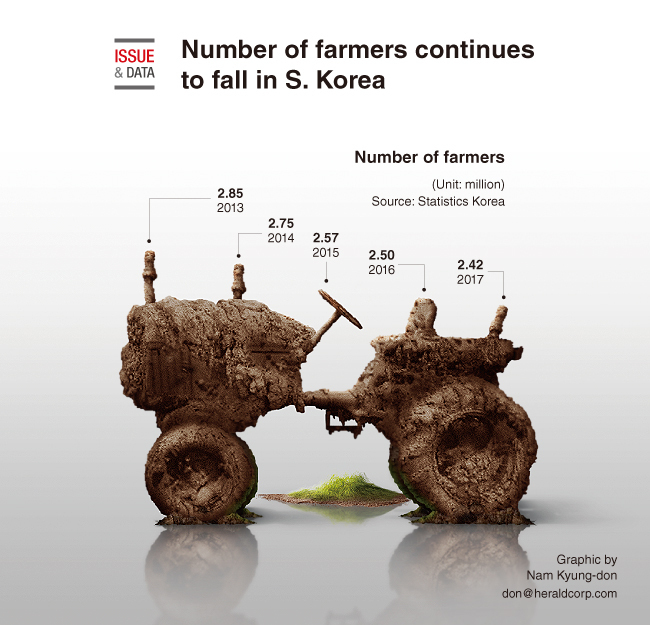 According to the data compiled by Statistics Korea, the number of farmers also dropped 3 percent on-year to 2.42 million. Households engaging in the farming business totaled 1.04 million last year, down 2.5 percent from a year ago, data showed. The statistics office pointed out that it is mainly caused by the rapid aging of the population, with the younger generation moving to cities. The average age of the head of farming families reached 67 last year, up from 66.3 in 2016.